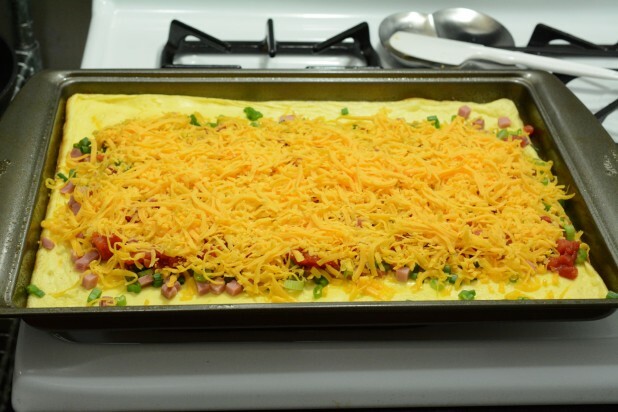 Even the best of us get tired of eating breakfast casserole day in, day out. 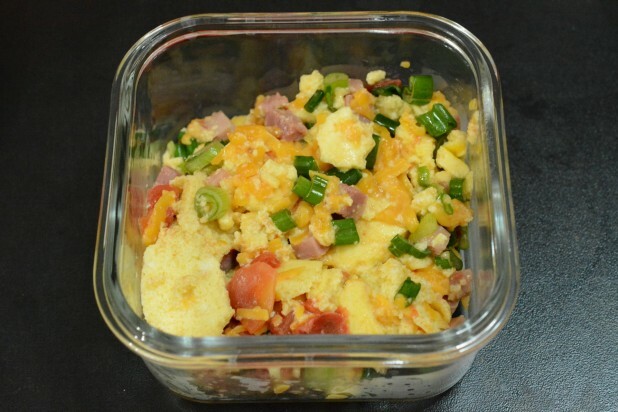 A few weeks ago I started experimenting with alternative bulk breakfasts. Last time I came up with an open faced western omelet. 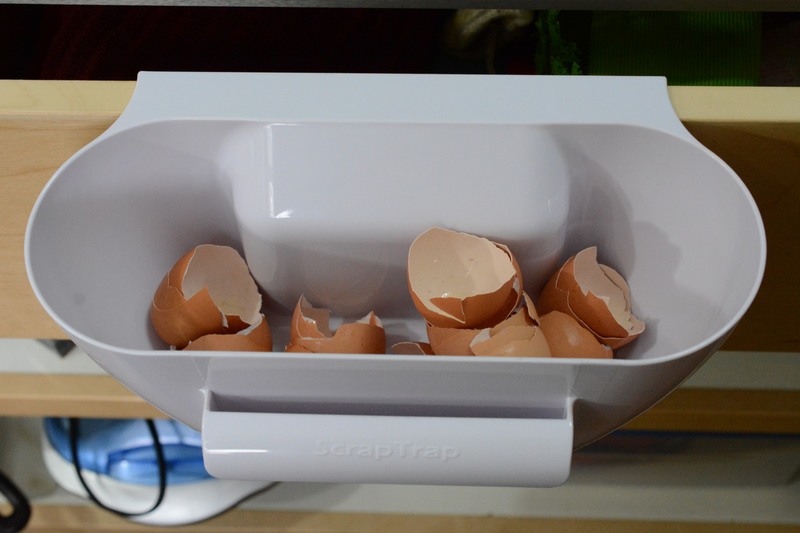 Today, we’re going to make bulk scrambled eggs! Start by dicing a ham steak. 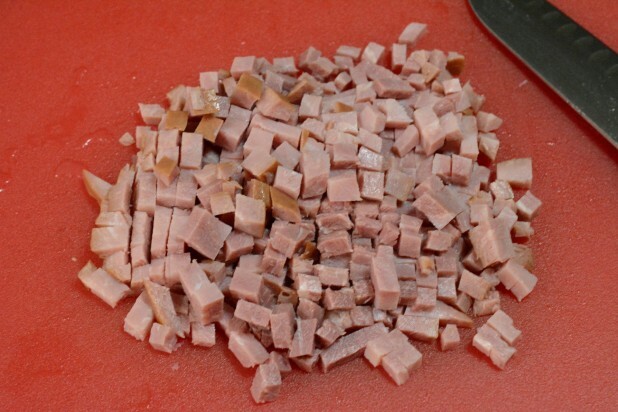 Tip: If these come in packs of 2 or 3, I dice them all up and freeze the spare ham steaks. That way when I need them again in another recipe I don’t have to chop them up! 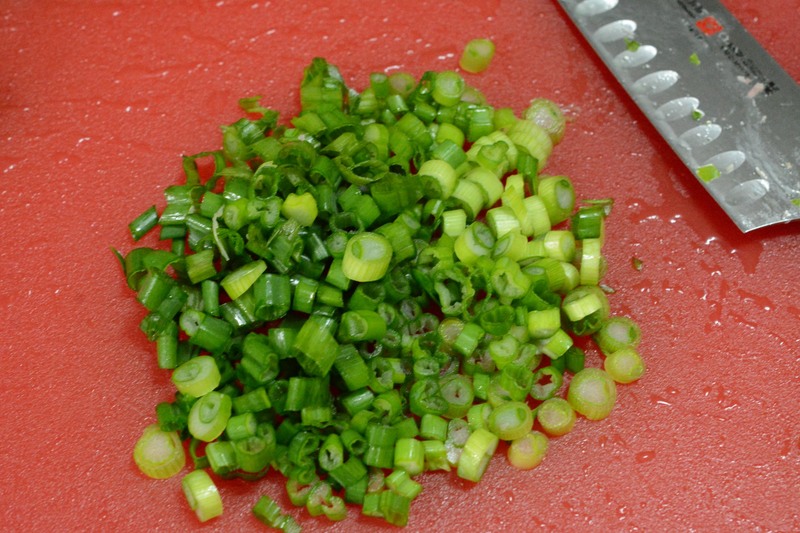 And also chop some green onions. 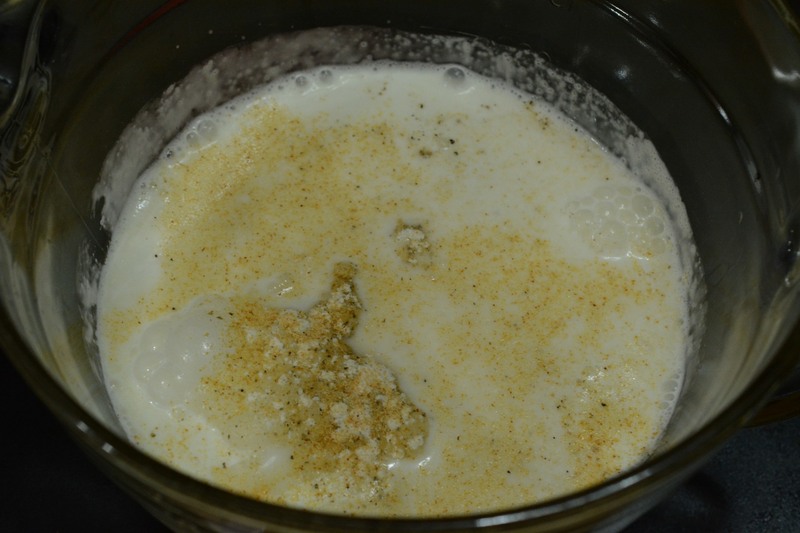 Now form the egg mixture by combining the eggs, cream and spices. I’ve mentioned it before, but to speed up my prep process, I’ve started using a crumb catcher. 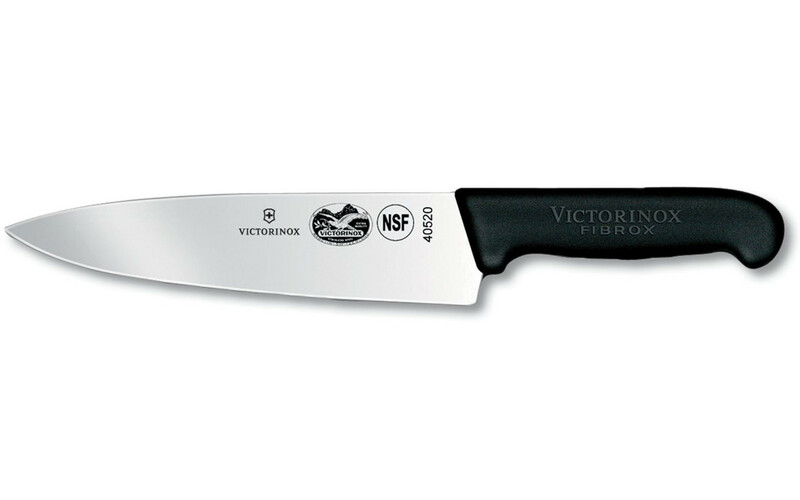 This thing just sits on top of a drawer under my counter and you can throw trash in it while cooking. Unfortunately I don’t have a garbage disposal so I was constantly shuffling back and forth between my prep area and the trash. 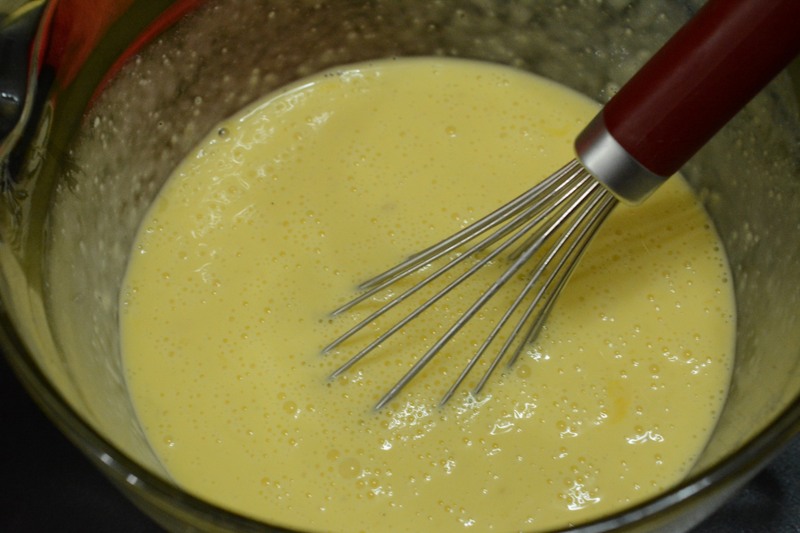 Make sure to whisk the eggs really well! Then grease a cookie sheet. Now pour the egg mixture into the pan. The idea here is to bulk cook the eggs. 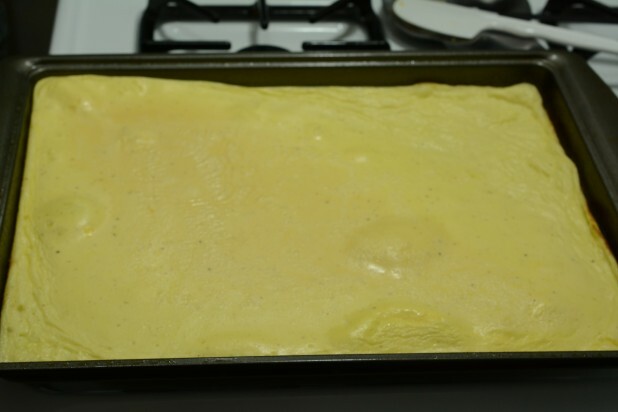 Sure, you could make 5 batches in a pan but its a hassle. Cook it for 8 minutes at 450 degrees and it should be mostly cooked. Then add any fixings you want. 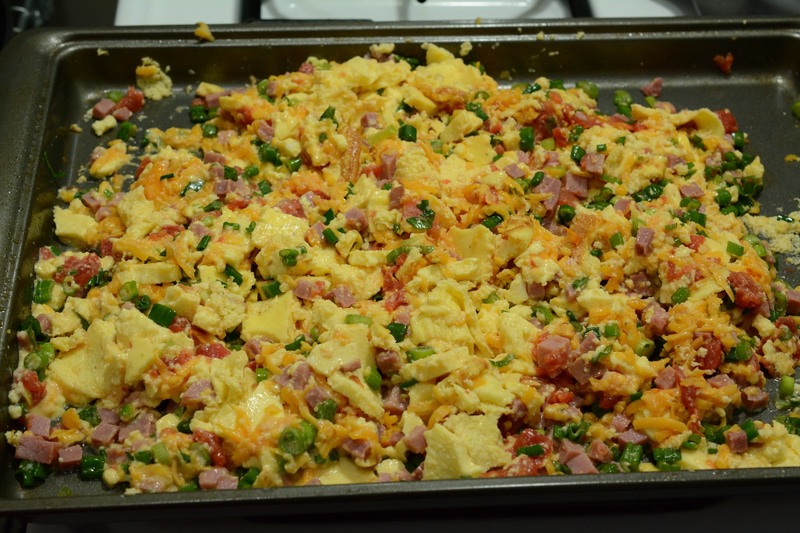 I went for a western theme with the ham, tomatoes and green onions. In truth you could use anything. 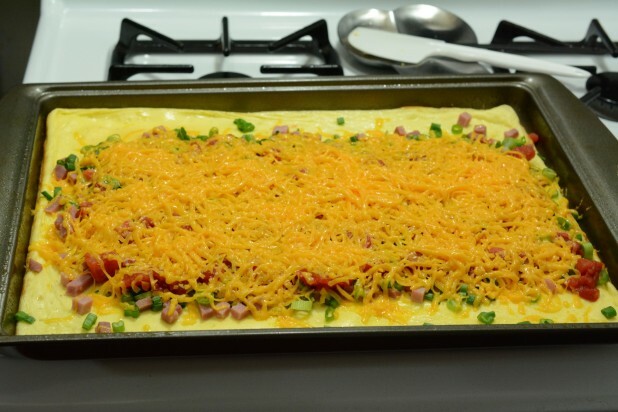 Then throw a layer of cheese on the concoction. After another 2 minutes, the cheese will be melted. Then mix the whole mess up into scrambled eggs! 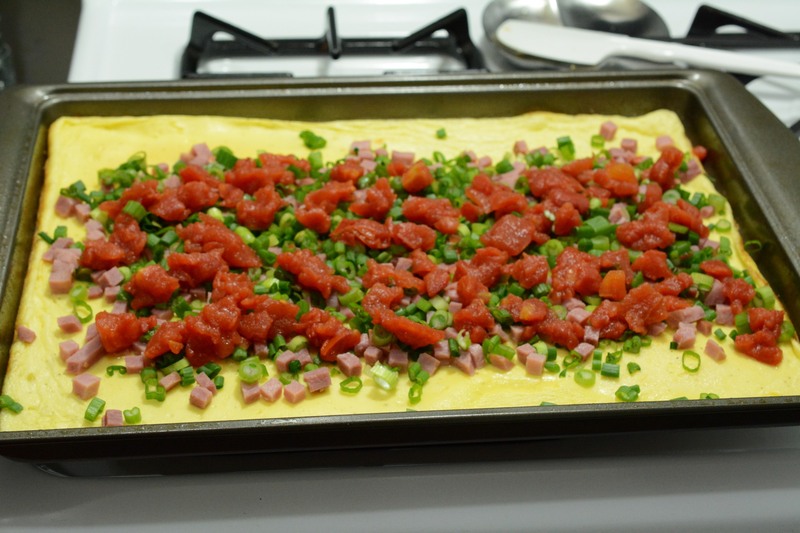 Ok, so now is as good as a time as ever to admit, I wasn’t intending to make scrambled eggs … No, in fact I wanted to make some awesome, super omelet that I would roll up and slice to eat throughout the week. Instead, the whole thing collapsed as soon as I started to roll it #ketofail. I got so angry that I just scrambled the whole mixture with my hands. Ironically, it worked out really well! 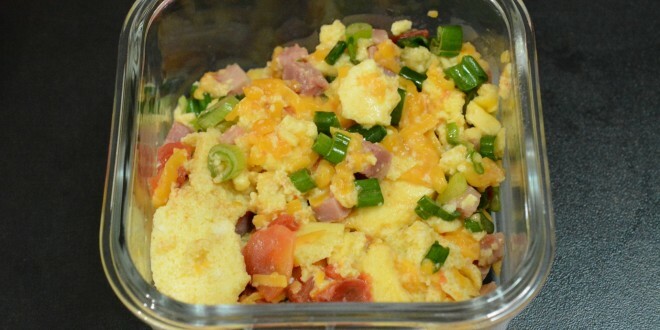 Here’s the Western Scrambled Eggs in my Glasslock container! This handy little invention attaches to a drawer in your kitchen and allows you to scrap the crumbs and extras off of your cutting board. 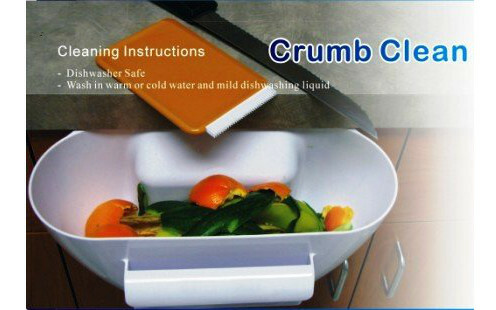 Its a huge time saver to have a little trash bin right by your side while cooking. Dishwasher safe! I’m having a good laugh imagining you angrily hand scrambling the eggs. Thanks for that. Thanks for this bro, this is an answer to my prayers. 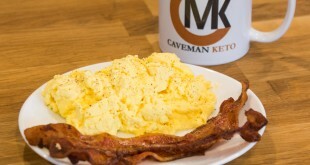 Bulk delicious keto meals, keep falling from the heavens by way of Caveman Keto. How do you reheat this. And is it still good 5 days later. I have tried things like this and by the end of the week the egg seems to get watery. Yes, I was wondering something similar… Do you store all the portions in the fridge, freezer, or some in both? 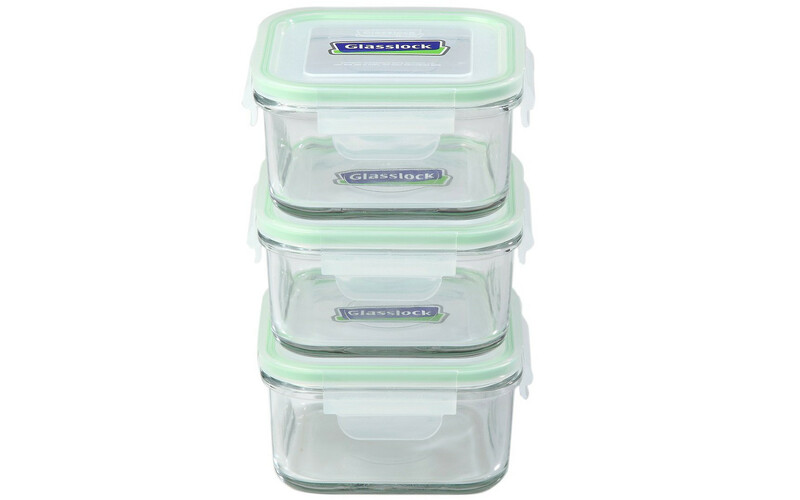 I’ve heard that you can store 2-3 days’ worth in the fridge, put the rest in the freezer, then transfer a day’s worth from freezer to fridge every night to allow for defrosting and always have 2 days’ worth ready to go. I’ve never had cooked eggs get watery from being stored, but maybe it’s because they usually don’t last longer than a few days before they get eaten. Also, the only time I have experienced watery eggs is when I microwave them for a fast breakfast at work. If you have any tips for eliminating that issue, I would appreciate them! The reason the rolling failed is the cream. 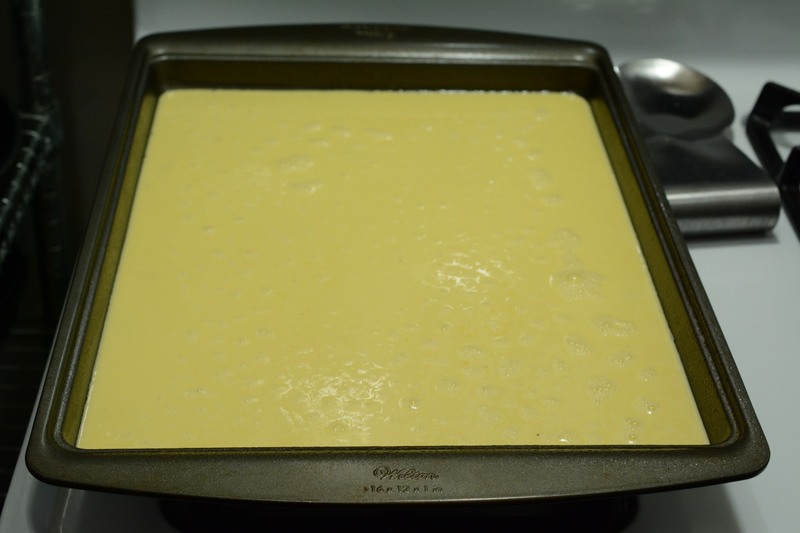 Try it again without the cream and I am sure that the results will be better for a rollup. Thanks for the tip, I’ll have to give that a try! For some reason a good omelette is my arch nemesis. 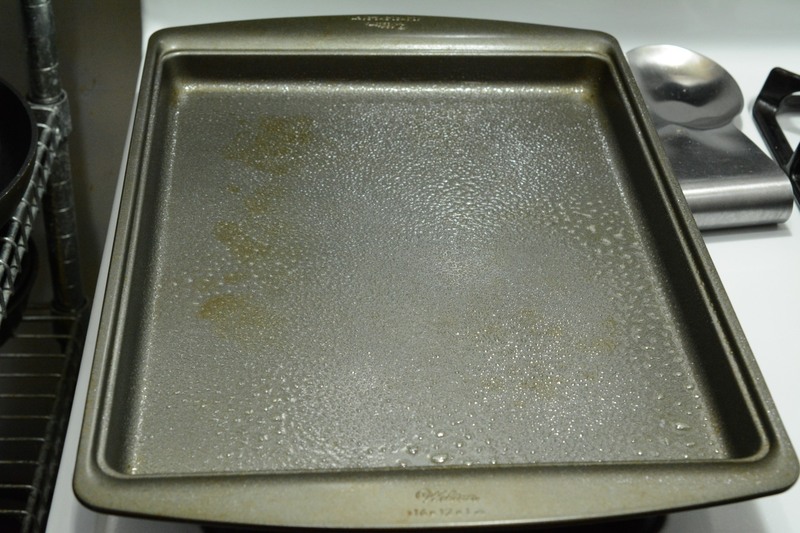 For greasing something like a cookie sheet I normally use pam. For my go to oil in a pan, I use bacon grease. I made this yesterday and ate the first serving today, reheated Nicky in the microwave. My 1st official keto meal and it was selfish. Thanks so much!